This evening I did the washing up while listening to podcasts at 1.5x speed. Can someone find a way for me do the opposite: wash up at 1.5x speed while listening to podcasts? Yay! 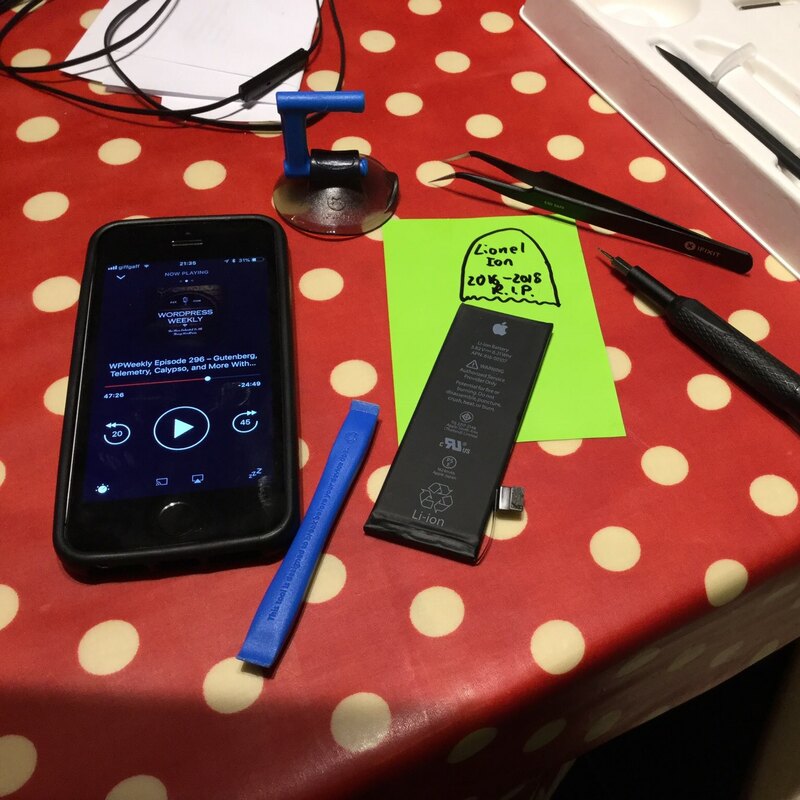 Successful, DIY iPhone battery replacement! Not without complication, but all is well. Front end dev tooling is a MESS! Bower is not really a thing any more, so Bootstrap 4 has removed it as a means of distribution. So if you update a framework that used Bower to include Bootstrap 4-beta to use Bootstrap 4.0.0 instead it all breaks! Yesterday was my 10th Twitter Birthday! Ten years I’ve been on that thing. Yes, it has its bad bits, but it’s been a source of learning, friendship, opportunity, fun and, occasionally news. Have you seen my stationary scissors? They seem to have moved! Great thing about having an actual blog: posts from ten years ago still turn up in long-tail search results and get commented on. It’s amazing!